PITTSBURGH -- Now that’s how you start a game. 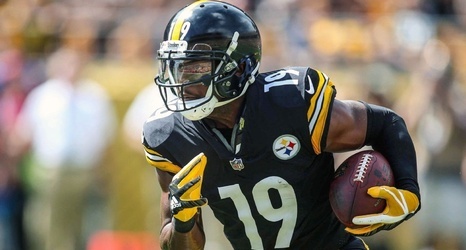 The Pittsburgh Steelers offense needed one play to get into the end zone Thursday night thanks to Ben Roethlisberger’s deep connection with JuJu Smith-Schuster for a 75-yard touchdown on the Carolina Panthers with 10:18 left in the first half. Thirteen seconds later they hit pay dirt again when Vince Williams caught a wobbly pass from Cam Newton, who was under pressure from T.